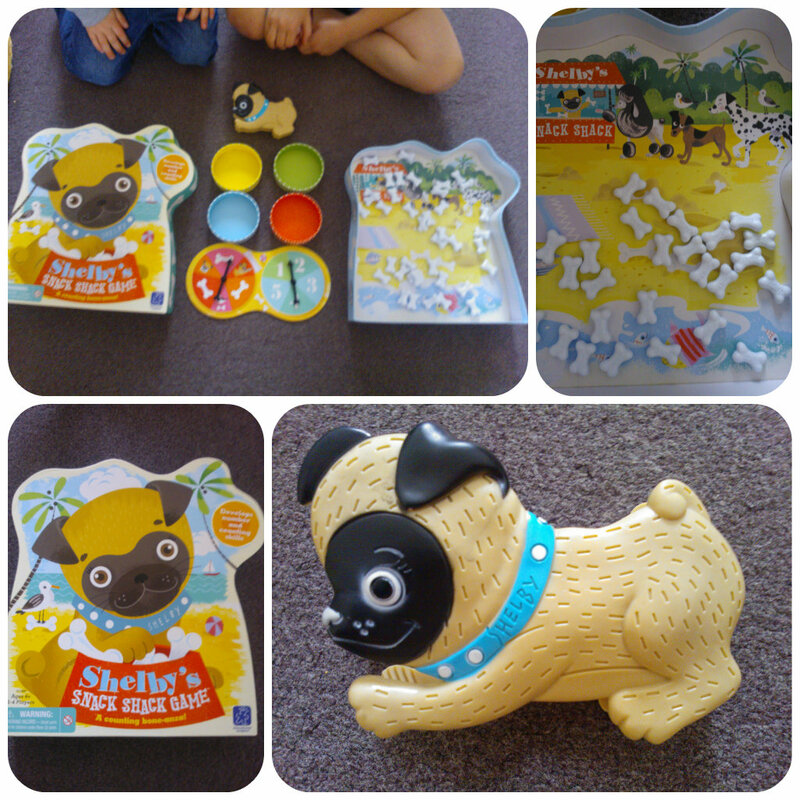 We love playing games as a family, and with 5yr old Miss M being the queen of games in our house, she was really excited when Shelby’s Snack Shack game arrived from Learning Resources. The first thing you notice about Shelby’s Snack Shack game is the unique shaped box. It definitely catches your eye with it’s bright, fun pictures and shaped design. The game is aged at ages 4+, so Miss M is the ideal age to play. The idea is to collect as many bones as you can and the winner is the one with the most in their bowl at the end of the game. The box is incorporated into the game and used to place the bones. A double spinner determines what you do on your turn whether it’s collect some bones, steal bones from other players or miss a turn. If you do need to collect or return bones there is a second spinner to let you know how many bones you gain or lose. This provides excellent number and counting skills for little ones as well as them getting used to gameplay and being competitive. The expression on Miss M’s face when she lands on miss a turn is a picture although she is learning that this is part of the game and she has to accept that she doesn’t always collect lots of bones and be the winner! 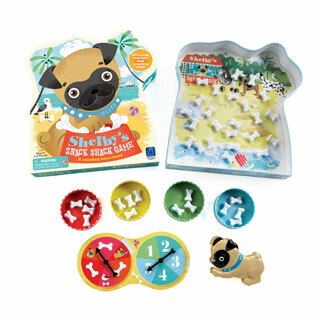 The cutest thing about this game has to be Shelby a cute dog shaped pair of tweezers that are used to pick the bones up in this game. This is an added feature that gives the game a unique aspect, but at the same time lots of fun and extra excitement for little ones. It also helps aid coordination and fine motor skills so lots of added value with Shelby as part of the game. We have thoroughly enjoyed playing this game, it is well made and has lots of unique aspects. It is fun, exciting and competitive to see who can collect the most bones. 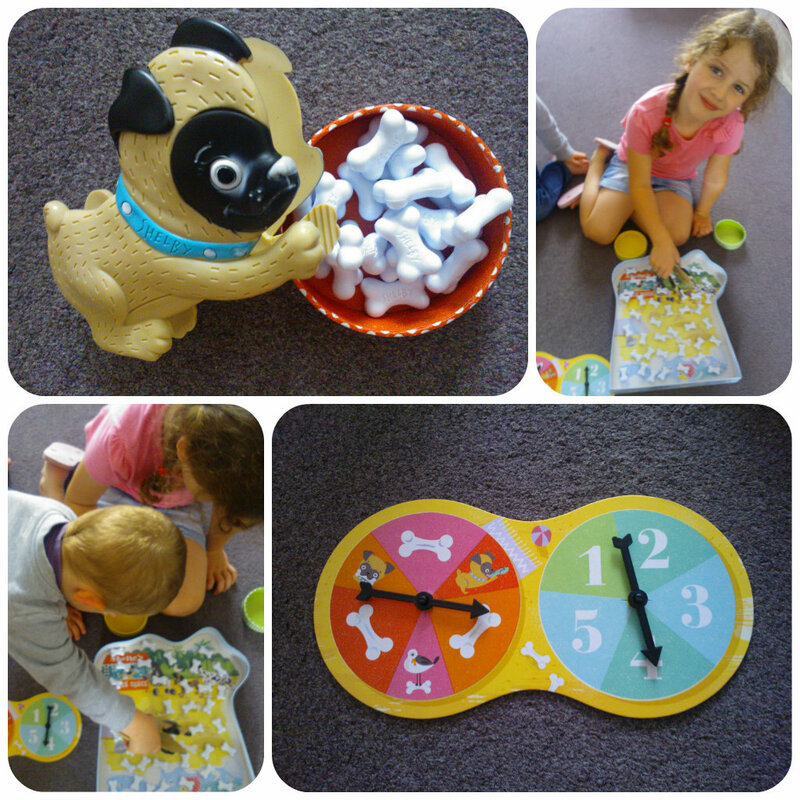 It encourages learning in numbers, counting and general game playing skills. An attractive, high quality game that young children will love and great for families to enjoy together. We certainly have and if you’d like to try the game for yourself, check out the opportunity to win below. For your chance to win 1 of 5 copies that Learning Resources are giving away, please click HERE to enter their competition.